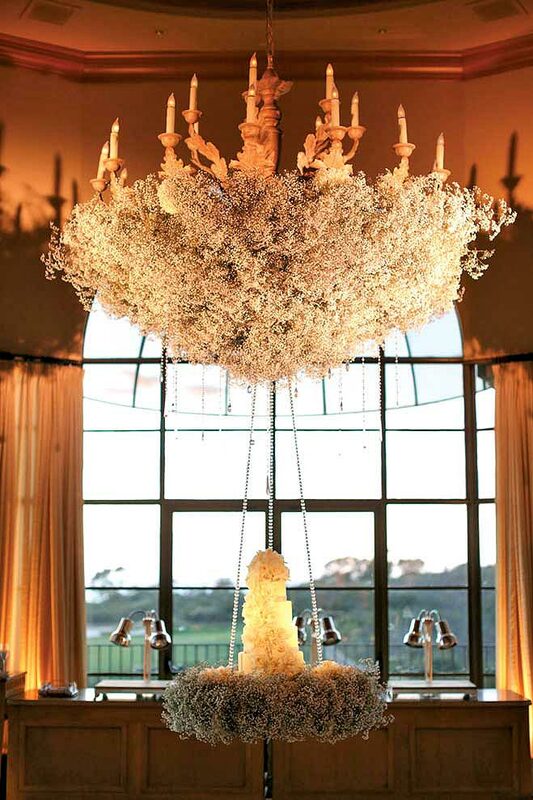 For Ana Heller’s Pelican Hill wedding reception, Orange County florist Nisie Vorachard of Nisie’s Enchanted Florist created a cake display with major wow factor: It hung suspended from a baby’s-breath-covered chandelier. “Nisie gave me the idea, and once I heard about it, I simply had to have it. It truly looked like it was floating on a cloud,” Heller says. Vorachard draped all the chandeliers in the ballroom in baby’s breath, creating floor-to-ceiling texture and drama.